Martha Bedard, Vice Provost for the UConn Library, will be retiring on July 20, 2017. Vice Provost Bedard has led the library since October, 2013 and during her tenure she has been instrumental in moving the UConn Library forward in several key areas. One Library Initiative. The One Library Initiative has created a coordinated library system which now includes the Health Sciences Library in Farmington, and the transition has significantly increased the collaboration for decision making and judicious expenditure of, and access to, all library resources. Master Plan. The flagship facility in the UConn Library system, the Homer Babbidge Library, has not seen significant physical changes since the early 1990s until this summer. A strong proponent for creating an active and creative place for the UConn community, Martha has been able to work with the University to secure $5 million in funding each year over the next four years to transform the Library into a thriving central academic resource for years to come. Open Educational Resources. Having been involved with the Open Access movement for over a decade, Martha brought her passion for how the library can serve as a facilitator of open and affordable resources and elevated the conversation both at UConn and on the state-wide stage. Her work has sparked a movement on campus that has already saved an estimated 4,500 students over $450,000– and growing each year affecting thousands more. Collaborations across campus. Increasing collaborations that are mutually beneficial has been a tenet in Bedard’s strategies. Working more closely with the Humanities Institute, the Entrepreneurial and Innovation Center, and the creation of the Mellon Foundation funded Greenhouse Studios project with Digital Media and Design and the School of Fine Arts are just a few of the successes. She was also the driving force in ensuring the continuation of the Connecticut Children’s Book Fair for its 25th anniversary, and has been eager to connect with students on campus, working with students in the Undergraduate Student Government, Provost’s Library Advisory Committee, and the student friends of the library organization, the Homies. Throughout her time at UConn, Martha continued to engage in the profession of librarianship as she has done over her 50 years in libraries. She has provided mentoring support in leadership through the Association of Research Libraries’ Leadership Program, for which she was selected as a Fellow for in the first cohort. She has also just completed her appointment as the President of the Boston Library Consortium (BLC) where she was actively engaged in regional wide collaboration including joining the Eastern Academic Scholars’ Trust [EAST] program for shared retention of print materials across the BLC Network and beyond. 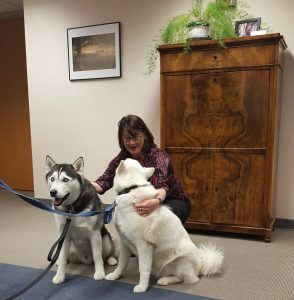 Prior to coming to UConn, Martha was the Dean of the College of University Libraries and Learning Sciences at the University of New Mexico, a position she held for over six years. She has also held high level positions at Texas A&M University (TAMU) and the University of North Carolina – Chapel Hill. At TAMU, she served in various leadership roles beginning in 2000, including Associate Dean for Information and Collection Services. Her previous positions at TAMU also included Associate Dean and Director of the Medical Sciences Library, Associate Dean for Advanced Studies, and Associate Dean for Digital Initiatives. She served as the Associate Director for Library Services, University of North Carolina at Chapel Hill Health Sciences Library, and held medical library directorships at Wake Medical Center in Raleigh NC, the Medical Center of Central Massachusetts in Worcester MA., and Lowell General Hospital. In retirement, Martha is looking forward to spending time travelling from Coast to Coast to visit family here in her native Massachusetts, in California where her son lives, and in New Mexico where her and her husband Denis still reside. There will be a celebration of Martha’s career on Tuesday, August 8th at 3:00pm at the Homer Babbidge Library. All are welcome, and RSVPs can be sent to Kim Giard. UConn has named Holly Jeffcoat as interim vice provost for libraries while a search for a successor to Martha is conducted. Holly has served as assistant vice provost for libraries since 2016 and was associate university librarian for finance, planning, and assessment from 2014 to 2016.